I feel pretty confident in proclaiming Breaking Bad as the best TV show ever, and I won’t listen to anyone who claims otherwise. You’re just wrong, and that’s the end of that. Whether you agree or disagree with me, there’s no arguing that being able to pick the whole series up on Blu-ray and digital for just $66 is perhaps the deal of the year. If you’ve never seen Breaking Bad, now is absolutely the time to rectify that. If you’re a big fan, why not treat yourself this holiday season? 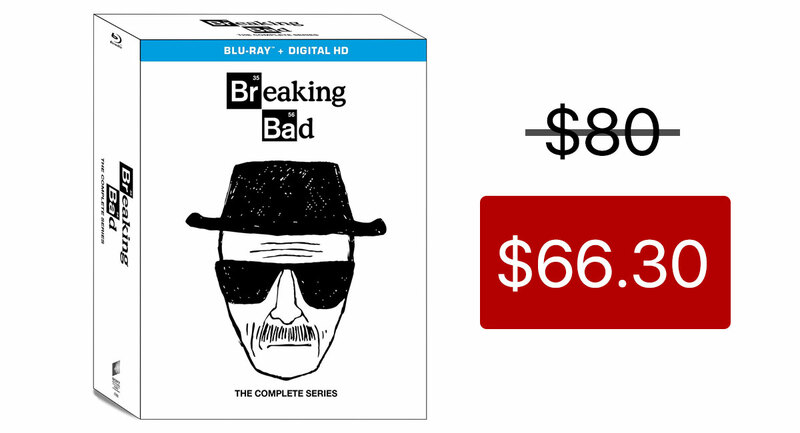 This is the best price available for a new set – it was released this past February – and you would normally expect to pay considerably more to get every single episode of Breaking Bad in one place. With every single season of the best show on Earth now available at a bargain price, we think we might have to watch every episode all over again. After all, you really cannot get too much of a good thing and Breaking Bad really is a great thing. If you do decide to give it a try afresh, please do stick with it. It can be a slow burn at first, but oh boy are you rewarded after the first half-season gets its hooks into you. Now if you’ll excuse me, we’re off to reminisce about how we felt the first time we watched all of these seasons. We’re all misty-eyed just thinking about it!